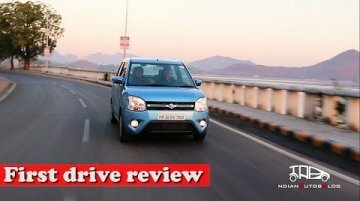 The IAB has just returned from the palaces of Udaipur and can't stop raving about the brand new Wagon R. Here's our first drive review of the same. Moreover, for the first time ever, the Wagon R has received a 1.2-litre engine option in the form of the K12M motor that propels some of the costlier five-door models in the company's lineup. 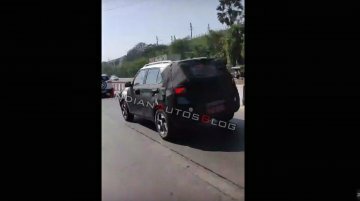 The Kia SP2i is underpinned by a repurposed version of the Hyundai Creta's platform. The updated architecture should help the new model offer improved vehicle dynamics and higher crash protection. 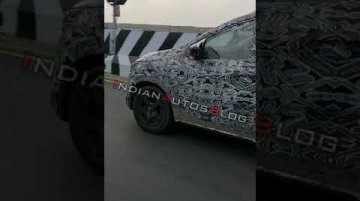 The same platform will be even used to underpin the next-gen Creta and will be capable of supporting a seven-seater variant if demand persists. 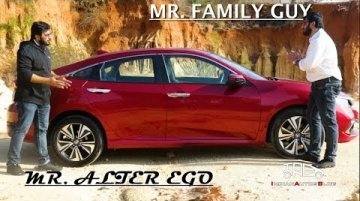 The seventh generation of the globally acclaimed sports sedan is more athletic and sumptuous in design, more prominent in every dimension and technologically superior compared to its predecessor. 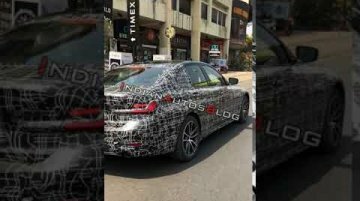 Adaptive LED headlights with BMW Laserlight, T-shaped air intakes, new BMW kidney grille with single surround, 19-inch alloy wheels, slim, L-shaped LED rear lights, and a larger glass roof are some of the main exterior details of the all-new 3er. 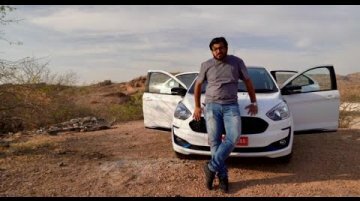 We're in Rajasthan this week and we've gotten our hands on the new 2019 Ford Figo. What has changed and what's new, we tell you everything you needed to know in our first drive review. 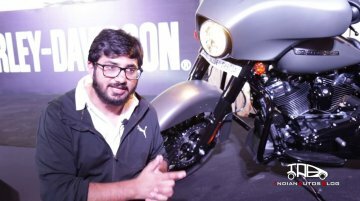 Harley-Davidson has launched the new Forty-Eight Special and 2019 Street Glide Special in India at ex-showroom Delhi price tags of INR 10.98 lakh and INR 30.53 lakh respectively. The 2019 Street Glide Special has arrived at the same price tag as the previous model that was sold in the country while the Forty-Eight Special is approximately INR 40,000 more expensive than the standard version. 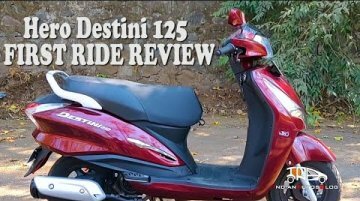 Hero Destini 125 review | Detailed walk-around | Can it take on the Honda Activa 125? Hero MotoCorp is all set to take on the king of the scooter world i.e the Honda Activa with its new arrival. The company has launched the Destini 125 scooter in India at ex-showroom prices of INR 54,650 for the Lx variant and INR 57,500 for the Vx variant. 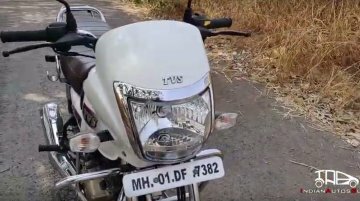 The Destini 125, which made its debut at the 2018 Auto Expo as the Duet 125, reached Hero dealerships in Delhi-NCR on October 23. It was about time that Ford decided to roll up its sleeves and gave the Endeavour a mid-life makeover. In line with its Thai-spec version, which received a mid-cycle makeover in July 2018, the flagship SUV from Ford India has finally received a set of updates that work well to make the Toyota Fortuner-rival a wee bit more desirable. We have sampled the refreshed SUV in varied terrains of Rajasthan. Our 2019 Ford Endeavour review details the changes on offer. All-new Honda Civic | First drive review | Which side of you will it appeal to more? Our additional editor Yatharth Chauhan was in Bangalore, exploring Nandi Hills with two versions of himself, or as he likes to call them - Mr. Family Guy and Mr. Alter Ego. The car in question is the new 2019 Honda Civic. Which side of him will it appeal to and what does the new Civic have in store for us? That's what we are here to find out. 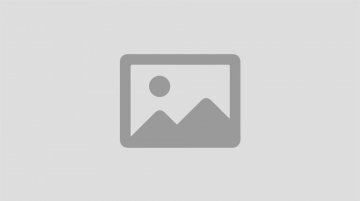 The Renault RBC will ride on a modified version of the Renault Kwid’s platform (CMF-A) called ‘CMF-A+’. It will have a longer wheelbase (2,422 mm+) for a roomier cabin. The third-row seats may accommodate only children comfortably, as is the case in the Datsun GO+. Honda Motorcycles & Scooters India (HMSI) has launched the Honda CB300R at an ex-showroom (pan-India) price of INR 2.41 lakh. The new motorcycle, which has been on sale in over 40 countries, comes to us via CKD route. Bookings of the new model have been underway since last month for a token amount of INR 5,000. 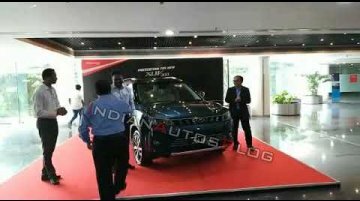 Mahindra & Mahindra will launch the XUV300 in the first half of February 2019. The main talking point of the Maruti Vitara Brezza rival is its lengthy equipment list, which comprises segment-leading items which, as per the company, ensure that the new model isn't merely 'a car to get one from point A to point B at a low per km cost. 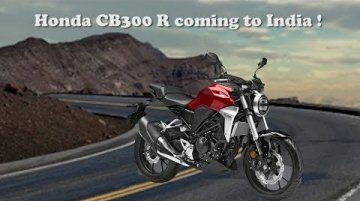 The Honda CB300R will be launched in India on 8 February. 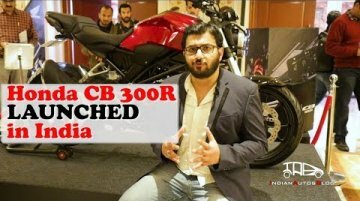 In a surprise move, Honda Motorcycles & Scooters India (HMSI) announced on 16 January that the CB300R neo sports café will be launched in India below INR 2.5 lakh (ex-showroom) and will be imported into the country as a CKD pack. The Honda CB300R will be retailed via Honda’s Super Bike dealer network. 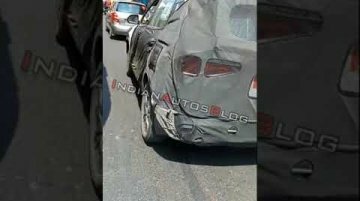 Essentially the production avatar of the Hyundai HND-14 'Carlino' concept from Auto Expo 2016, the Hyundai Styx (Hyundai QXi) will leverage the burgeoning demand for sub-4 metre SUVs in its effort to become one of HMIL's best sellers. 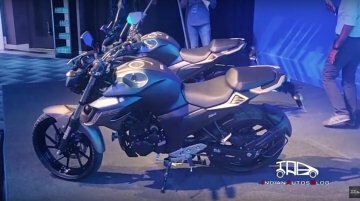 Alongside the launch of the Yamaha FZ V3.0 series, India Yamaha Motor had displayed the new Darknight colour variant of the Yamaha R15 V3.0 ABS. 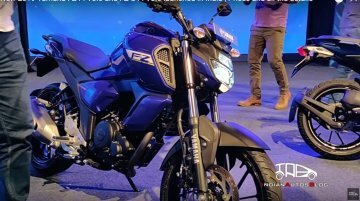 At the launch of the new Yamaha FZ V3.0 range, the Japanese bike maker has also introduced the ABS versions of the Yamaha FZ25 and the Yamaha Fazer 25 in India to comply with the upcoming safety guidelines. The Yamaha FZ25 with dual-channel ABS has been priced at INR 1.33 lakh*. On the other hand, the Yamaha Fazer 25 dual-channel ABS variant costs INR 1.43 lakh*. The Yamaha FZ V3.0 range receives a design overhaul with a new LED headlight along with a digital LCD instrument cluster on top of it. The motorcycle features a redesigned fuel tank with extended shrouds, an engine belly cover (FZ-S only) and a reprofiled tail section with a new single-piece aluminium grab handle. 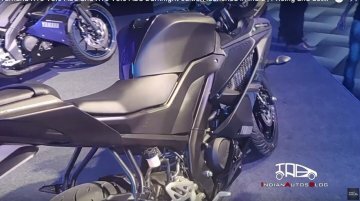 Other changes include Yamaha FZ25 sourced 17-inch alloy wheels and exhaust canister, and a single-piece seat. 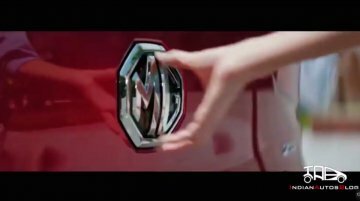 MG is officially entering India and will be offering an SUV as their first product. We take a look at what it will have in store once it's here. All-new TVS Radeon walkaround | Performance, looks, mileage and more | Better than Hero HF Deluxe? The Hero HF Deluxe is best selling commuter in the country. We've ridden and tested its new rival from TVS. How does it shape up?